March 27th news, vivo announced that Vivo S1 officially opened an appointment, priced at 2,298 yuan. The machine will open the full reservation at 0:00 on April 1 and will be officially on sale at 10:00 on April 3. The vivo S1 adopts a zero-screen full-screen design. The shape without bangs, water droplets and no boring makes the front surface intact and has no screen shape. The screen size is 6.53 inches, the screen ratio is 90.95%, and the resolution is 2340×1080. In order to achieve a zero-screen full-screen design with no openings on the front side, the vivo S1 uses a lift-type front camera solution on the NEX. When you take a self-portrait, it will automatically rise. Officially, its lifting parts use advanced physical vapor deposition (PVD) coloring technology to create a harmonious beauty whether it is raised or hidden. 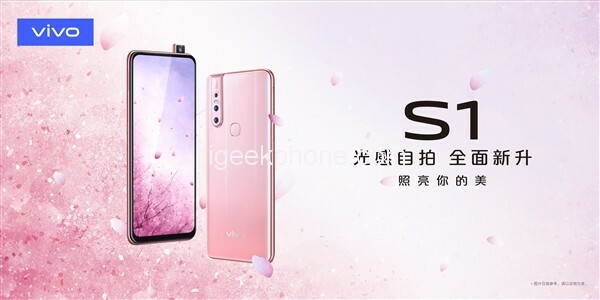 Core configuration, Vivo S1 equipped with MediaTek Helio P70 processor, equipped with 6GB memory +128GB storage, rear main camera dual camera 12 Megapixels + 8 Megawide angle + 5 Megapairs of photos, battery capacity is 3940mAh, running Funtouch OS 9 system. 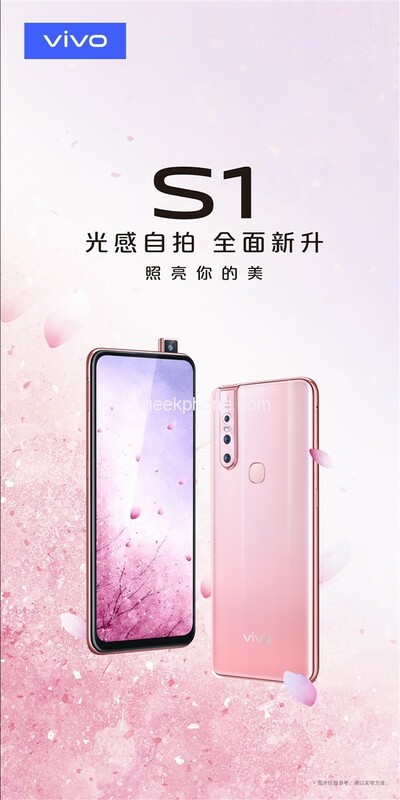 Previous ArticleXiaomi Mi9 Flagship Has a Pro Version? With 12GB+512GB?